May 1, 2009 | I’ve been on a tight budget, so for my New York trip, I was prepared to make sacrifices. Luckily, skipping out on a Broadway show was NOT one of the necessary sacrifices! 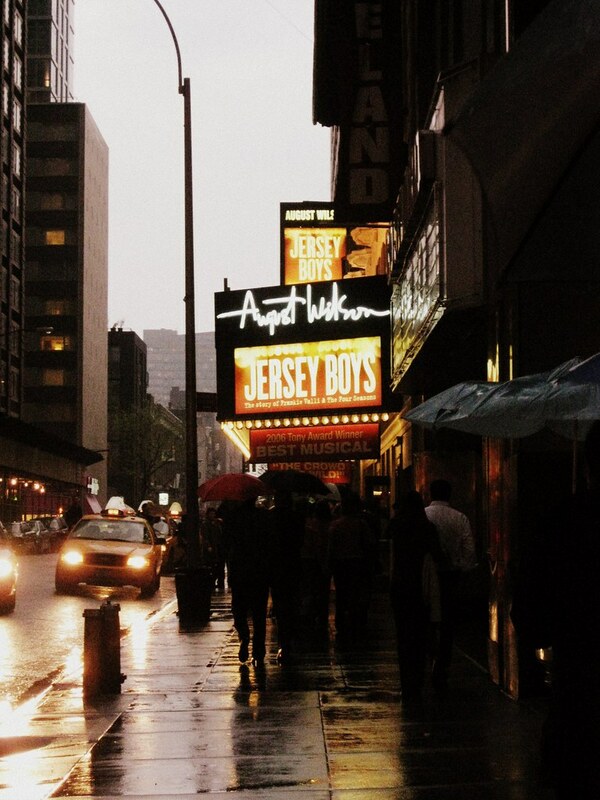 My best friend Monica scored some free tickets, orchestra seats (usually $127 each), to Jersey Boys for Friday night. How awesome is that?? My tiresome journey paid off . Sure, I went on a total of 3 bus rides and 2 subway rides, and did quite a bit of walking– all on an empty stomach over a span of 8 hours, but I made the show on time! Oh, how I love [visiting] New York City!